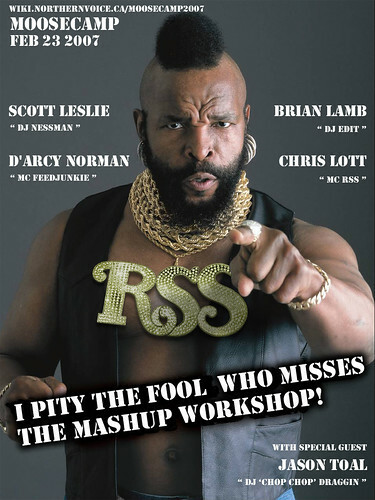 The Moosecamp Mashup Poster, originally uploaded by MrGluSniffer. Jason did that nifty poster up for our session. We just blasted through it to a surprisingly packed room… hope it went well. Nancy White and Lee LeFever are kicking it hard leading a discussion on communities right now, so time to close up my machine and listen for a while. haha… wicked poster. very nice. Thanks Patricia — it was a bit messy, and not quite what we expected, but I learned a great deal putting it together with my collaborators, and with the ensuing discussion.